Rita Dagger Style Letter Opener is exactly what it is called. As a knife maker in the UK it is illegal to advertise knives if I even suggest they could be used in combat so, to that end, a traditional dagger (a knife originally designed for stabbing, swiping and thrusting IE; combat) must be advertised as a letter opener! Our stainless steel letter opener will open your letters with a speed and deft you've yet to witness. No matter how well armed your enemies envelopes are with just a little practice you will be opening them without fail each and every time. This dagger style letter opener comes with a leather sheath that has a standard size belt loop. 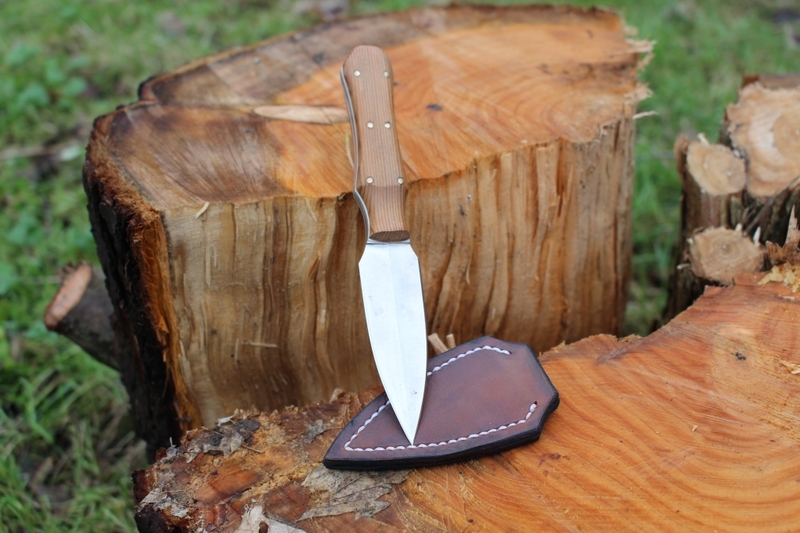 This knife can also be supplied with a boot sheath so you can open letters with style in your home or office! Rita is only available with American Cherry scales, white PVC liners and solid brass pins.